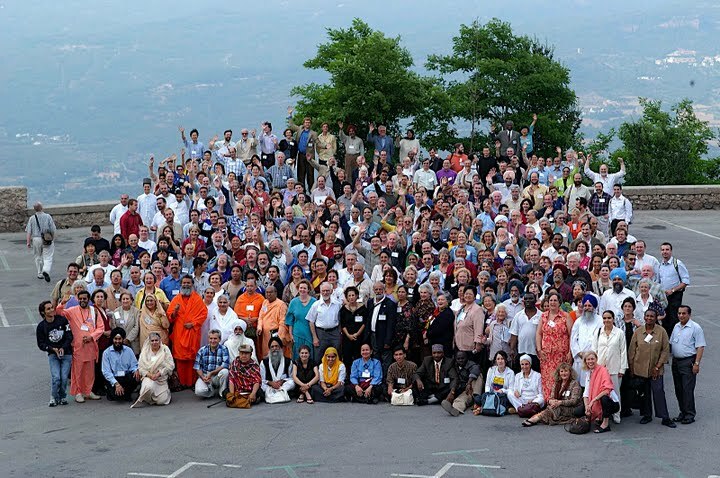 The 2004 Parliament Assembly at the Benedictine Monastery at Montserrat near Barcelona represented the next step in the progression of gatherings that began with the first Parliament in 1893 and continued in 1993 in Chicago and 1999 in Cape Town. and Increasing access to clean water. Joining persons impacted by these issues in the discussion, Assembly members worked towards the creative engagement of religious and spiritual communities with other guiding institutions to make constructive and effective contributions to these crises. Assembly members were asked to commit to “simple and profound acts” in response to these crises. These acts both help alleviate the suffering and actively involve their own local communities and institutions in visceral and multivalent ways. By the end of the gathering, over 500 commitments to “simple and profound acts” were collected. What in their own tradition compels and inspires them to care about this issue? How does the strategy for social change, embedded in the vision and teachings of one’s own tradition, shape their response?